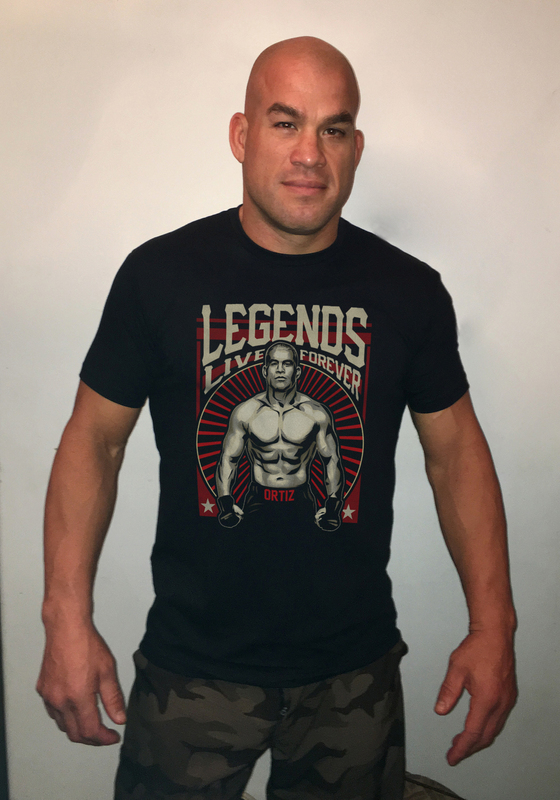 I've designed this official "Legends Live Forever" tee for my fans in anticipation of my fight against my arch-rival Chael Sonnen on January 21st, in the main event at Bellator, live on SPIKE TV. Support me in my quest to prove that legends do live forever! A minimum of $1.00 from every shirt sold will benefit the Wounded Warriors Project.